Clinical manifestations of slowness, stiffness, resting tremor, depression, and cognitive impairment involve diseases of the basal ganglia direct pathway that include Parkinson’s disease and Parkinsonism. Differential diagnosis of Parkinson’s disease and other Parkinsonism disorders will be provided. 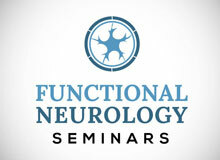 This course presents a detailed review of basal ganglia neurophysiology and clinical expressions. Focus is on early identification of basal ganglia direct pathway disorders and preventive strategies. Neurological rehabilitative exercises, diet, nutrition, lifestyle, and pharmacological interventions are discussed.